An Eritrean opposition group, Red Sea Afar Democratic Organization (RSADO) on Wednesday said that Yemen’s Houthi group have attacked the international Airport of Assab, a port city in the Southern Red Sea Region of Eritrea. Ibrahim Haron, leader of the armed opposition group told Sudan Tribune that Houthi forces stationed in the island of Hanish and Zagar have also attacked the headquarters of the Eritrean naval forces in Assab by firing mortar rockets thereby causing a serious damage. The attack comes days after reports disclosed that Saudi Arabia has transferred some 5,000 Yemeni militants to Eritrea for military exercise in the Red Sea country. According to the reports, Riyadh is transferring the militants from Aden to Eritrea’s Assab port to go under military trainings and then be sent to the Saudi provinces bordering Yemen to back the Saudi led war in Yemen. The Eritrean government has dismissed the reports saying “a preposterous lie peddled for some ulterior motives”The opposition leader said Eritrean authorities have imposed a tight security cordon in the areas following Monday’s attack. Ibrahim said Eritrea government motive to cooperate with the Saudi-led coalition is because Asmara has a long standing border dispute with Yemen.The countries had previously engaged in a bitter war with Yemen over the disputed Islands of Hanish and Zagar. In 1998, the international Tribunal of the international Committee ruled the islands in favour of Yemen; Eritrea however refused to accept the ruling.He added that Eritrea had been serving as a base for military training for anti-Yemen groups in order to create destabilization and instability in Yemen and in the region at large. “When the situation in Yemen changed and appeared new events and the emergence of coalition forces, Eritrea favoured the Arab coalition to ensure financial, political and military gains” Ibrahim told Sudan Tribune by telephone from the Eritrean-Ethiopian common border. Meanwhile the Eritrean opposition group today alleged that an Eritrean Air force pilot has defected to Saudi Arabia by flying a military Aircraft.According to opposition officials, the Eritrean pilot defected on Tuesday along with his two aides becoming the latest members of the Eritrean Air force to defect from the reclusive east African Sea nation.The Captain pilot and two of his aides flew to Jizan region in south of the Kingdom of Saudi Arabia.The defectors have asked for political asylum but it is not yet clear if the kingdom has grant them an asylum. Ibrahim said the latest defection is a big blow to President Isaias Afeworki led regime. He says it is an apparent sign of growing discontent of the air force personnel and the military against the oppressive region.In previous years, there have been defections in thousands from the Eritrean army, navy and air forces as the regime retains grip on power for over two-decades.President Isaias has been in power since the country gained independence from Ethiopia in 1993. እዚህ ላይ ገና ባልተሠራ ሥራ ላይ ምቀኝነት ልገልፅ አይደለም።ነገር ግን ይህ ሃሳብ ባጭሩ ወያኔ በአገር ውስጥ እና በውጭ ያለውን ሀብት በሰላም መልሶ እንደገና እንዲደለደል ይፈቅዳል ከሚል እሳቤ የመነጨ ይመስላል።እሺ! እንደተባለው ሆነ እንበል።የወያኔ መሪዎች የሚጠየቁበት እልቆ መስፈርት የሌላቸው በኢትዮጵያ ላይ እንደ አገር የተፈፀሙ ወንጀሎች ጉዳይስ? እንዲሁ በደምሳሳው ይታለፉ? አሁንም እሺ እንደተባለው ወንጀሉ ሁሉ ተትቶ ፕሮፌሰር እንዳሉት ´´ለወያኔ መሪዎች መኖርያ እና ጡረታ መብት ተሰጣቸው´´ እንበል።ይህ ለመጪው ትውልድ ምን ያስተምራል? ነገ ማንም በጎሰኝነት ተነስቶ የፈለገውን ያህል ዘርፎ እና አገር አጠራምሶ ጡረታ እና መኖርያ እየሰጠን እናኑረው ? 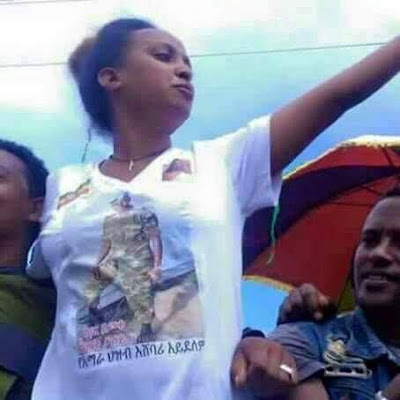 ወይንስ በትክክለኛ ዳኝነት በነፃነት እና ምንም አይነት የሰብአዊ መብቱ ሳይጣስ ለፍርድ ቀርቦ ክፍት በሆነ ችሎት እንስማ እና የህሊና ዳኝነት ወስደን የታመመውን የኢትዮጵያ ሕዝብ ቁስል እናድን? የመፍትሄ ሃሳቡ በእራሱ አልገባኝም። ያጠፋ ሰው ገና ለፍርድ ቀርቦ ጉዳዩ ሳይታይ የጡረታ እና ድጎማ መቁረጥ ላይ ከሄድን ፍትሃዊነትን እንደናፈቅን ሌላ ክ/ዘመን ልንዘልቅ አይደለም ወይ? ኢትዮጵያ የትግራይ ነች፤ ስለዚህም ትግራይ ኢትዮጵያን ነች፤ ሁለቱ አይለያዩም፤ ይህንን ወያኔም በሚገባ የተረዳው ይመስላል፤ አለዚያ ከጎንደር፣ ከላስታም፣ ከራያም፣ ከጎንደርም … የሚለቃቅመው ለምንድን ነው! 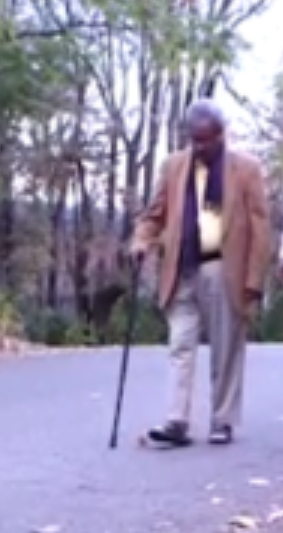 ሰበር ዜና - አቡነ አብርሃም በስልጣን ላይ ያለውን መንግስት በአደባባይ ገሰፁ።Ethiopian Orthodox Tewahido Church synod member and Archbishop Abune Abraham strongly criticised the current regime of Ethiopia. September 25, 2016 (JUBA) - South Sudan’s former minister of agriculture minister, Lam Akol, has formed a new rebel faction after spending several weeks of consultations with different unarmed and armed opposition parties in the country. 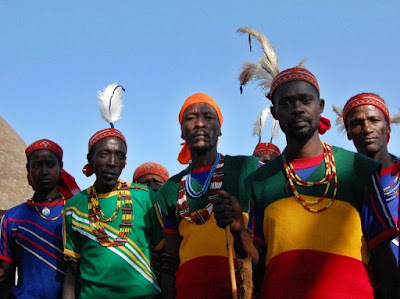 Akol, according to a statement issued over the weekend and extended to Sudan Tribune has named the new rebel group as National Democratic Movement (NDM) and said that his aim is to overthrow by all means the government of South Sudan under the leadership of President Salva Kiir. “The National Democratic Movement was born to wage the struggle, together with others in the field, against the totalitarian, corrupt and ethnocentric regime in Juba that is bent on dragging our country into the abyss,” the statement reads in part. Akol, who previously chaired the Democratic Change Party (DCP) said he resigned and left the party last month because the members and the other leaders of the DCP believed in peaceful dialogue and non-violence as the only means to bring about change in South Sudan. The movement, it explained, is founded on the principles and concept of national democratic revolution based on the core values of freedom, equality, justice and fraternity, and solidarity anchored in historical and philosophical perspectives. These values, it stressed, translate into fundamental rights and freedoms as provided for in the UN Conventions of civil, political, economic, social and cultural rights. The political statement of the NDM set out in details what the NDM stands for and how to rid the people of the totalitarian ethnocentric regime in Juba and replace it with a pro-people inclusive government. “It must be clear from the outset, the NDM is not just for change of personalities in Juba to replace them with others of the same feathers; it is out for a radical change in the country that will bring about genuine state-building and nation-building,” it emphasized. 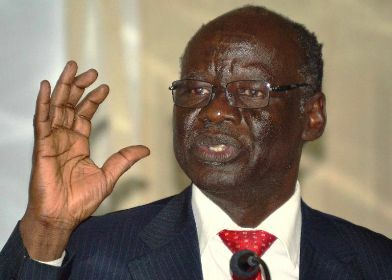 He also said his new faction will closely work with the Sudan People’s Liberation Movement (SPLM-IO) under the leadership of the former First Vice President, Riek Machar. It is not clear from whether the prominent politician will get military forces for his new faction. 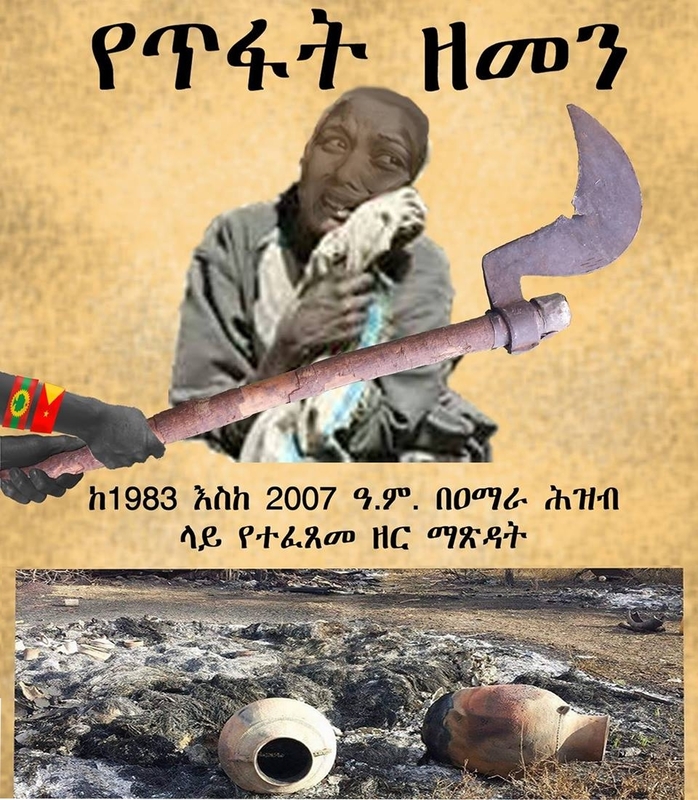 የወጣት ንግሥት ይርጋ ወደ ስቃይ እስር ቤት መግባት ሚልዮን ኢትዮጵያውያን ሴቶችን ውደ ትግሉ ሜዳ ይጠራል ! 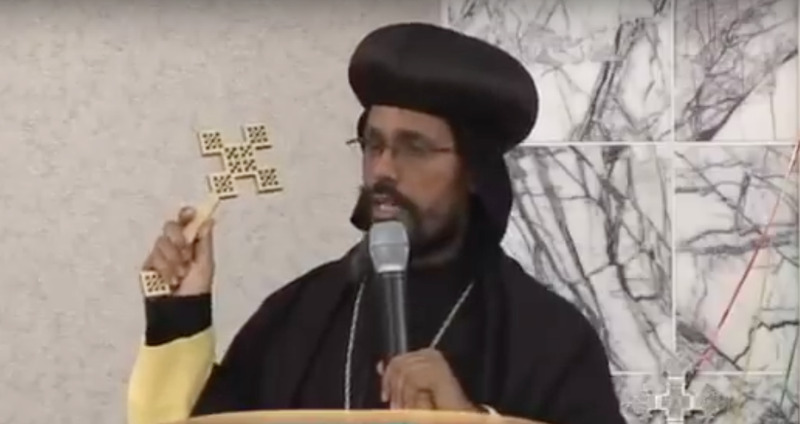 በተራራማ መሬት ላይ የእርከን ሥራ ለትግራይ ያስተማረ ኮንሶ እየተገደለ፣እየተሰደደ ነው እንድረስለት! በስመ አብ፣ ወወልድ፣ ወመንፈስ ቅዱስ አሐዱ አምላክ አሜን! 1. 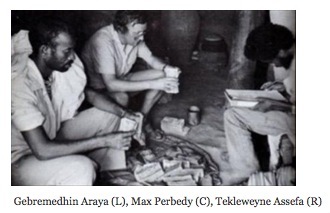 ከጳጉሜ አንድ ጀምሮ እስከ መስከረም ሦስት ድረስ ብሔራዊ የጸሎትና የሐዘን ቀን እንዲሆን ታውጆአል! 2. ለኢትዮጵያ የመከላከያና የጸጥታ እንዲሁም የጦር ሠራዊት አባላት በሙሉ! 3. የትግራይ ሕዝብ በአምባገነኖች ጥይት ከሚረግፈው የአማራና የኦሮሞ ወገኖቹ ጋር እንዲሰለፍ ጥሪ እናቀርባለን! 4. የጎንደር፣ የጎጃምና፣ የኦሮሞ ህዝብ በአካባቢያችሁ የሚኖሩ የትግራይ ተወላጆችን ከምንጊዜውም በበለጠ መንገድ ትንከባከቡና ደህንነታቸውን ትጠብቁ ዘንድ አባታዊ ጥሪያችንን እናቀርባለን!